Noticing and studying this message made me realise I had been putting my focus on all the wrong things. When it comes to my clients, my attitude is great and I encourage a great attitude in them too and I see them manifesting all sorts of serendipitous opportunities. When it comes to me, I am human just like everyone else. Here are the mistakes I WAS making. I have a handful of BTL properties. I won’t pretend that being a landlady is easy, unless you compare it to going to work for a year instead, for instance, then it’s a breeze. Then it does begin to look lighter. But I had been focused very much on the wrong areas; the council tax I have to pay even when a property is long-term unoccupied due to outstanding structural matters. Even one void property can knock your cash flow pretty badly. But the focus of my ire had been iniquitous service charges. Wrong! 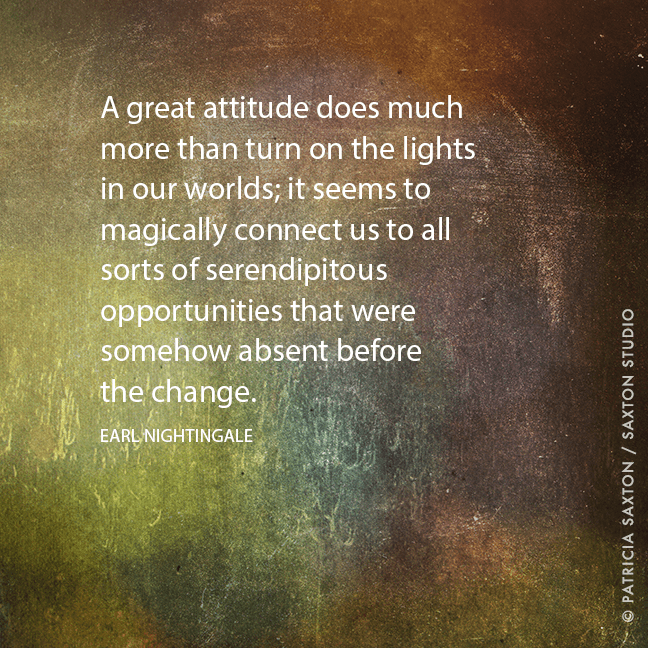 I took some time to see if I could find a good attitude which would be more uplifting and appropriate. My two London properties have been carrying the entire portfolio for a number of years now but if I re-frame the proposition so that I look at the potential to make capital gains over the entire portfolio during the next decade and the rest of my life, then the losses caused by service charges pale into insignificance. New thought: I am grateful for the opportunity to pay service charges on my BTL flats. Their ownership means I can grow my net worth while I get on with the fun stuff. I’ve been living in one of my own BTL flats in Streatham since 2008; the looming recession foretold by the credit crunch made me realise it would be a good idea to batten down the hatches. I am rather snobbish about the location of my home, which is in all other regards mighty fine. I feel that it is somewhat beneath me. It has a large garden in which I hold my annual summer parties for my clients and an Abundance Shed (garden office) in which I host the Cashflow games included in their Club 100 membership. It’s on the ground floor which means no stairs for my aging knees, it has peace and quiet a go-go, and trees and birdsong in abundance. The light at this time of the year is so gorgeous I honestly cannot do justice to it in any attempt to describe. Each March is a reminder of that. It wasn’t until I thought I might lose my “home” due to a court case (outcome still uncertain) that I realised how grateful I am that I have it in the first place. No doubt this week’s Comic Relief will just reinforce how lucky I am to have a roof over my head at all and to stop whinging and to start to – and keep – counting my blessings. New thought: My home is warm and secure, providing privacy and sanctuary, peace and quiet and all mod cons. [Mod cons! There’s a throwback.] Mitsy and I are really happy here and I am just a snob about Streatham Hill. Get over yourself, Judith. Some days, all that seems to arrive in the post are bills, bills and more bills including some of those aforementioned service charges. On days like those it can be all too easy to sink into thinking that one is working for the good of other people all the time, not for oneself, and to wallow in the moans of being a member of the so-called squeezed middle classes. Much of the personal development work I love in the area of abundance reminds me to bless my bills as I pay them. This is, after all, how the economy works. Money is just an energy which must flow out in order to be able to flow back round again. Paying bills with love allows my own abundance to circulate for the good of all and come back to me multiplied. New thought: I am grateful to be able to pay my bills with ease and for the services, utilities and daily comforts and conveniences this affords me. I do not take these for granted nor my ability to pay for them, which feels lighter as each day passes. Along with property ownership goes debt. Generally we think of this as good debt, thanks to Rich Dad. But one of my personal goals is to be entirely debt free, whether it be good or bad. As above, it is all too easy to slip into the habit thinking of oneself as a debt-servicing machine with the focus on the burden of debt. There isn’t even a word or phrase I can come up with which is a “towards” expression in this regard. Even debt freedom refers to the blankety-blank debt. In the end I alighted on freedom, just all-purpose freedom, total freedom from anything onerous or burdensome, whether it be good debt, bad debt, or any debt, about which I have made no adverse judgement. New thought: I am very grateful for the financial support I continue to receive. It facilitates my ultimate freedom. I was having a little harrumph, caused by the 100-days-a-year abalone fisherman and feeling envious of his laid back lifestyle. I am trying to work out how I can work 100 days a year rather than what feels like 5.5 days a week = 286 days a year. I love my work and my clients but, even so, one doesn’t want to feel that Judith is all work no play dull, a feeling of resentment which I’ll confess occasionally creeps upon me. But if my “real” work is when I am actually with my clients then it does add up to 2 days this week and 3 days next, so I too am not far off being the 100 days a year nirvana which seemed so attractive on telly. New thought: I am grateful for my work and my clients. I work part-time. I am not just the Bear Grylls of business; I am also the Abalone Fisherwoman of Streatham Hill. I am grateful that, unlike them, I don’t have to work in the jungles of Costa Rica or in the seas of remote Tasmania. I can do my thing at my own home sweet home.